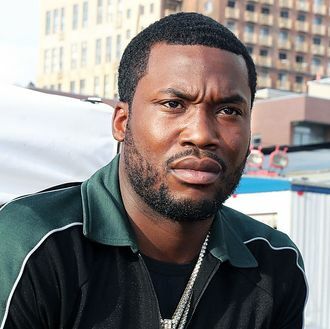 Meek Mill must've thought he was in trouble after he was pulled over by cops in Jamaica, but he found out they only wanted to take a picture with him. Meek was partying down in Kingston this week, where he was enjoying some grub and, of course, the local strip clubs. Basically, soaking in island life. The Philly MC posted tons of video on his IG story -- most of which is hilarious -- and, apparently, as Meek and co. were leaving Kingston ... they got stopped by officers there. Meek starts recording here, and it quickly becomes clear that no one was in trouble. Turns out, the cops literally just wanted a picture with Meek! He seems dumbfounded they pulled the car over just for that, but you gotta imagine he was also relieved.